Four women with nothing in common except a debt left behind by their dead husbands' criminal activities take fate into their own hands. Five years after 12 Years a Slave won three Oscars, director Steve McQueen returns with 2018’s modern-day thriller Widows. Set in Chicago, a robbery goes awry and kills all members of a gang led by Harry Rawlings (Liam Neeson). Unbeknownst to his widow Veronica (Viola Davis), Harry stole $2 million from political candidate Jamal Manning (Brian Tyree Henry). He demands that Veronica returns this money. However, the cash burned up with Harry and his colleagues, so Veronica needs to find creative ways to repay the debt. Abetted by a heist plan Harry left behind, Veronica gathers the widows of the other gang members to pull off this crime. In addition to Davis, McQueen, Neeson and Henry, Widows comes packed with a ton of talent. 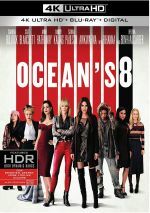 McQueen co-writes the film with Gillian Flynn of Gone Girl fame, and we find acclaimed actors like Colin Farrell, Michelle Rodriguez, Daniel Kaluuya, Robert Duvall, Jacki Weaver and many others. 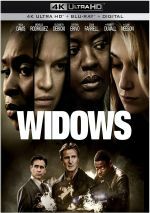 With all those notables, Widows raises expectations. The movie can’t reach these, for while I find it to be entertaining enough, it feels like a bit of a mess. The main problem came from the thinness of the characters, as the movie doesn't explore any of them very well. Of course, some get better exposition than others - particularly Veronica, as she's the lead - but I still don't think we know them in a satisfying manner. That's always going to be an issue with such a large cast. In addition to the five widows - people seem to forget one of them because she's not in on the heist - we get politicians, henchmen and others. The movie admirably attempts to explore all of them, a factor that leads to a longer than expected first act. It takes a while to get to the actual heist, and that's fine with me, as I think the view of the characters' lives and interactions adds meaning. I actually wish we got more of that, as I really would like to know the characters better. Other than Veronica and maybe Alice, the "widows" get little exposition beyond "hard-working women struggling to make it", which disappoints. I feel like we get to know the politicians better than some of the women. Going in, I didn't realize that the film adapted a 1980s TV series, but that makes perfect sense since the movie feels abbreviated. As I watched it, I actually thought how it'd work better as an HBO 10-episode series than as a feature film, as it tries to pack in far too much. The lack of breathing room leads to the thin characters I mention and also some plot holes. Widows needs to rush through so much territory in so little time that loose ends and inconsistencies become inevitable. Widows still becomes a good movie, and one that works better if you don't expect it to fall in line with Ocean’s 8 and become a broad "caper" story. That said, the film falls a bit short of expectations and doesn’t quite excel. Widows appears in an aspect ratio of approximately 2.39:1 on this Blu-ray Disc. Across the board, the transfer looked good. In terms of palette, Widows reflected Hollywood’s modern fascination with orange and teal. As tedious as that has become, the colors looked fine within the design parameters. Only one major extra appears here: a three-part documentary called A Chicago Story. These segments span a total of 52 minutes, 10 seconds and offer comments from writer/director Steve McQueen, writer Gillian Flynn, producer Iain Canning, director of photography Sean Bobbitt, executive producer Bergen Swanson, location manager Nick Rafferty, production designer Adam Stockhausen, special effects coordinator Michael Gaspar, pyrotechnic foreman Lee Alan McConnell, and actors Viola Davis, Elizabeth Debicki, Michelle Rodriguez, Cynthia Erivo, Colin Farrell, Robert Duvall, Daniel Kaluuya, Brian Tyree Henry, and Ann Mitchell. The program looks at the source and its adaptation, story/characters, cast and performances, stunts, action and effects, sets and locations. The three sections here don’t tell the whole picture of the film’s creation, but they offer a fairly good mix of production notes and shots from the set. In addition to the film’s trailer, we find a Gallery. It includes 23 shots that mix photos from the film and behind the scenes pictures. It’s a forgettable compilation. A second disc provides a DVD copy of Widows. It provides the trailer, the gallery and one of the three “Story” segments. 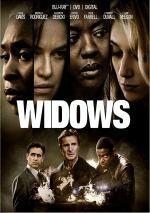 Due to the talent involved, Widows comes with sky-high expectations. Though it offers a mostly entertaining experience, the movie still disappoints in a moderate way due to its need to rush through too much of its story. The Blu-ray brings very good picture and audio along with an informative documentary. While I like Widows, I can’t claim it fires on all cylinders.